Spy's Story . 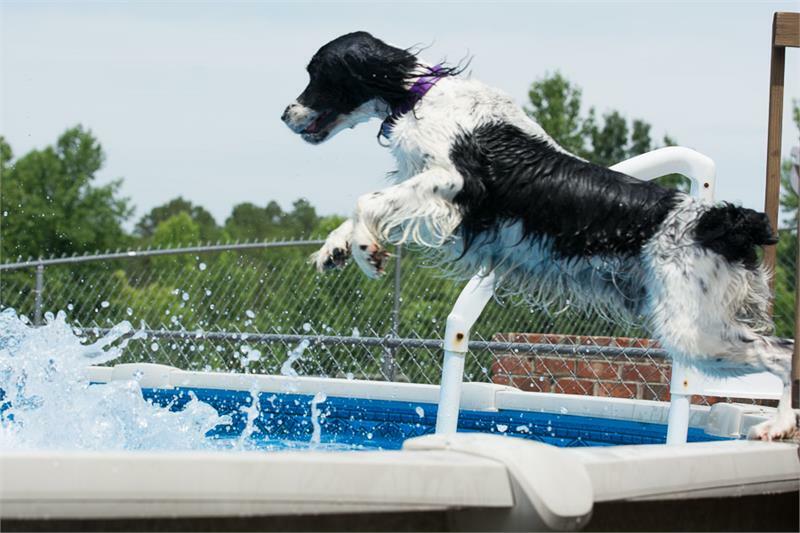 . .
Spy’s North Carolina family had to move back home to Hungary and were unable to take their wonderful Springer with them. 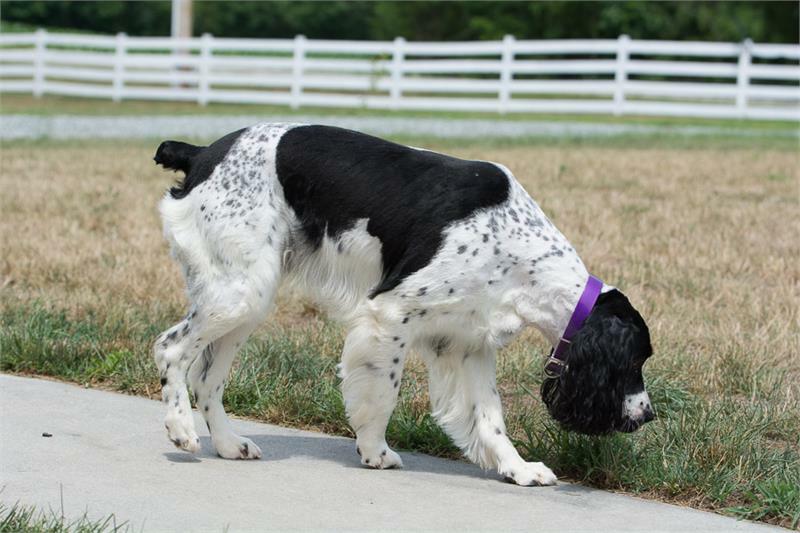 The local Springer rescue group asked MAESSR for help. Spy is a bouncy, wiggly boy who may jump on people to be closer and get attention, but is otherwise well-mannered. This smart guy knows “sit” and “down” and will throw himself into position, eager to please and earn a treat. He’s not picky--loves anything and everything, especially baby carrots. He is perfectly housetrained and will woof or put a paw on his person’s leg or glance at the door when he needs to go out. He sleeps like an angel on a dog bed all night (although he misses sleeping in the bed with his prior family and has tried to sneak onto his foster family’s bed.) He loves to snuggle on a convenient lap on the couch or sit on handy foot. Spy is affectionate with his kisses, wrapping his paws around that loving arm. He has not used a crate since he was a puppy. He does not get into any trouble in the house, but does like his water fresh and will drink out of the toilet bowl after flushing if the lid is not closed. He has not counter-surfed in his foster home. Spy does guard his food bowl while eating, but he sits politely for his meals. His foster mom has started dropping yummy items into his bowl while he is eating, and he caught on to that quickly and backed away from his bowl for treats to be added and wiggles for more. He takes treats nicely, even with other dogs around. 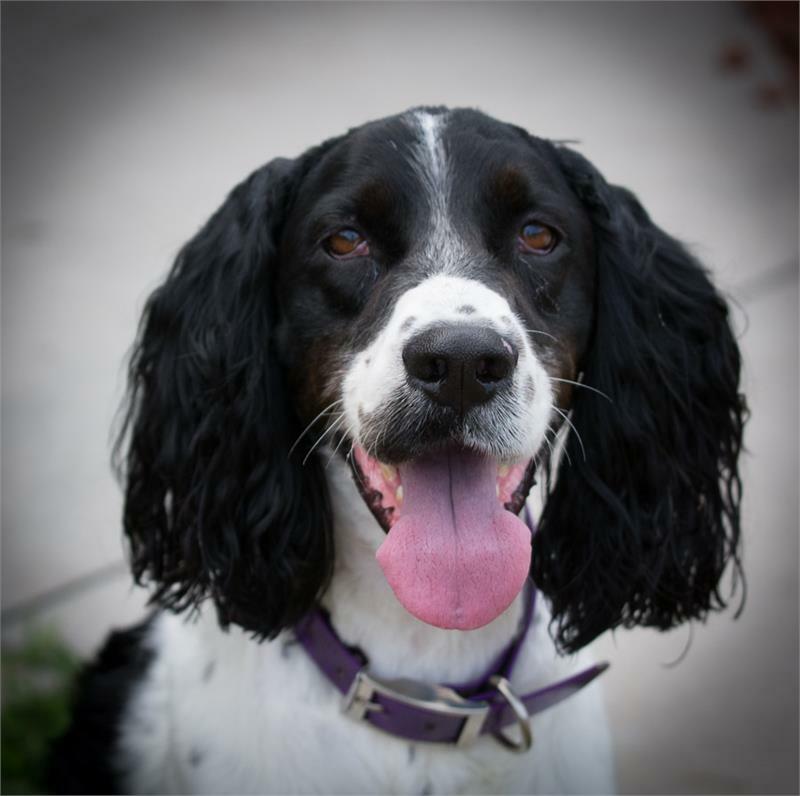 This handsome fellow has quite a bit of energy---he’s a four-year old Springer!! He loves to run, run, run outside and would do best in a home with a fenced yard with a lot of room. His favorite thing is swimming--he launches himself off the deck into the pool, but also understands “no” if the time is not right for a swim. As long as he has some good exercise, Spy is a mellow, love bug inside but will “ask” for interaction and to go back outside. On his foster family's farm, he shows pretty high prey drive, chasing deer and squirrels in the woods, and barking at the goats and barn cat. He likes tennis balls and rope toys and does not guard them at all. He shares with the other dogs and his people. Leash walking is still a task to be mastered. 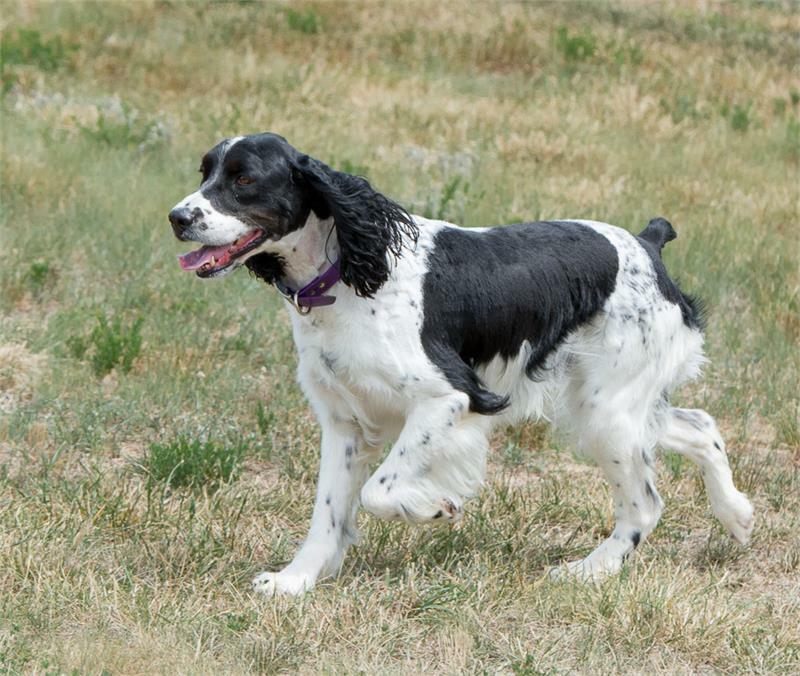 He is starting to run and play with another easy-going male Springer in foster care and submits to the dominant female. He will not engage in any arguments with other dogs if he can avoid it. Spy did well on his trip to the vet although his original family reported he was very touchy with his ears. He came to his foster home with ear mats but his foster mom has been able to snip them out with scissors and treats. He was very afraid of clippers as he had never been groomed but adjusted to the procedure once it was introduced gradually with treats along the way. Spy was taken from his mother and litter at a very young age and did not learn some appropriate behaviors normally taught a young pup by his mom and/or siblings. He will need time, training and understanding in his foster home before he is ready for adoption. But, what a handsome fellow this guy is and what fun he will be for a family with patience, time to train, places for him to run, and a place for him to swim. Watch for updates as Spy learns to be the best that he can be.